*PRICE REDUCTION* Beautiful new construction two-tenant medical office building for sale in Perris, CA. 100% occupied, with upside of 1,110 SF that could be an additional suite. The anchor tenant, Perris Hills Pharmacy, is an all inclusive full service pharmacy. The second tenant, BAWJ Medical Services is an urgent care facility that complements the pharmacy+GGs business. 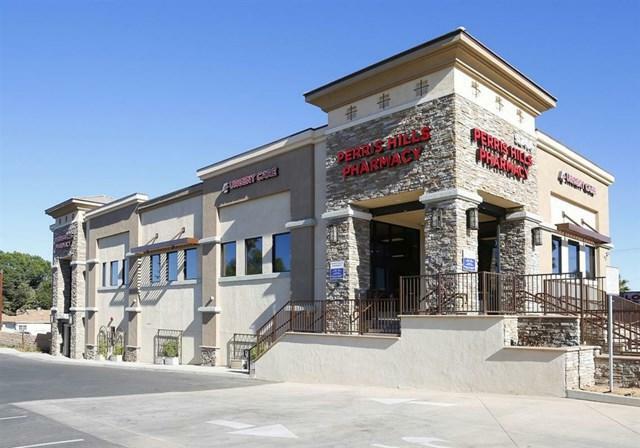 Perris Hills Pharmacy will execute a new 10-year sale leaseback at the close of escrow. With complementary medical tenants, new construction, a long-term lease and additional upside, 524 W 4th Avenue offers an investor a stable in-place income stream and a value-add opportunity.